What the attractive wildlife is in African national parks (the "Silverbacks"; Gorillas) can become the "Silvernecks" on the rocks of the planned "Raet National Park" on the coast of Aust Agder in Norway. The Ministry of Climate and Environment has given the governor (Fylkesmann) of Aust Agder the mandate to establish the marine park at the coast of the municipalities Arendal, Tvedestrand and Grimstad until 2016. In Norway cormorant is a traditional game bird. Each year ca. 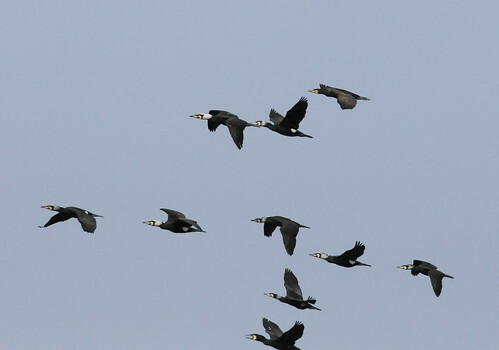 10,000 cormorants are shot to be eaten. In North Norway, cormorants are traditionally seen as semi-sacred. It is regarded as good luck to have cormorants gather near your village or settlement. An old legend states that people who die far out at sea, their bodies never recovered, spend eternity on the island Utrøst – which can only occasionally be found by mortals. The inhabitants of Utrøst can only visit their homes in the shape of cormorants.